What may be worse than feeling pain from your accident, is feeling no pain. While we want everyone to walk away from any accident uninjured. Often times symptoms and injuries do not appear until days, weeks, and even months after an injury. At least once a week we have patients come in with complaints that were related to an injury they sustained months or years prior and were not aware of it, but were in a great deal of pain at the time. Millions of people have suffered whiplash in the U.S. due to the high number of crashes. In your neck alone, there are tons of nerves, discs, glands, blood vessels, lymph nodes, and joints that can get misaligned, damaged, and injured in a whiplash injury? Not to mention your brain, spinal cord, muscles and tendons, ligaments, and fascia. What Are Your Chances Of You Becoming A Whiplash Victim? Pretty high!! 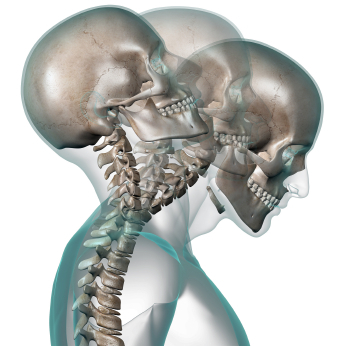 Millions of people experience whiplash each year to their neck, back and body. Approximately half of all crashes have some degree of whiplash injuries. Around 3 million people per year. People involved in rear impacts only, have a 50% chance of whiplash injuries, and of those injured, they have a 50% chance of suffering with long term complaints, issues, or degenerative problems. Almost half of all people with chronic neck pains, can attribute their complaints to a previous crash. Whiplash can cause damage to the neck and back discs and other soft tissues like muscles, tendons and ligaments, along with spinal column misalignment, stretching or pinching of nerves, pain, postural issues, arthritis, and long term decreased function. If you think you are injured, or not sure if you are injured, call us today. We would like to help you get back to life quickly and safely. We want you to get back to pre injury status, and back to enjoying your life. If we can help you we will, but if we can’t we will refer you to someone who can. If you have been in a Car / Auto accident recently,you have only 14 days to see a medical provider to ensure coverage for your injuries. Don’t wait till it’s too late, Call us today!